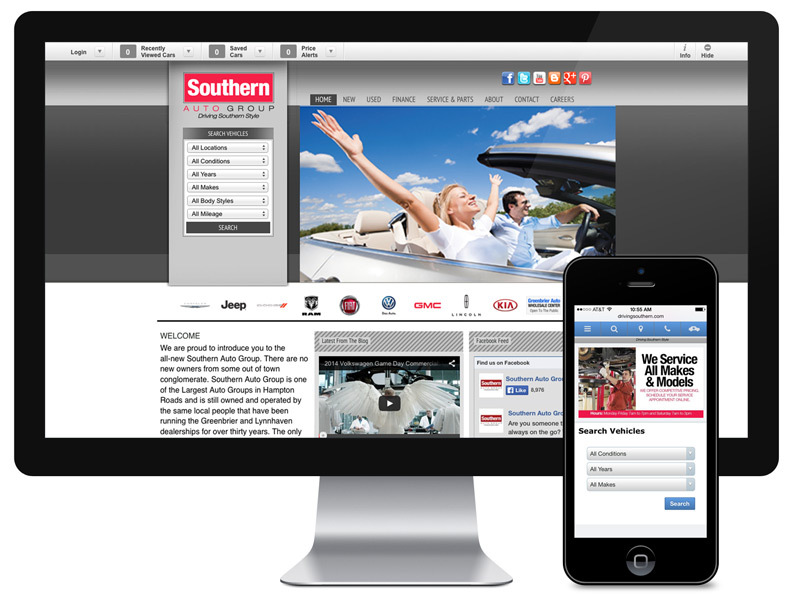 Eighty-five percent of car shoppers are turning to the Internet to shop for vehicles. That compounded with a dealer group that has six core dealerships, selling nine different brands of automobiles, had the owners come to us for help getting them back in the driver’s seat. 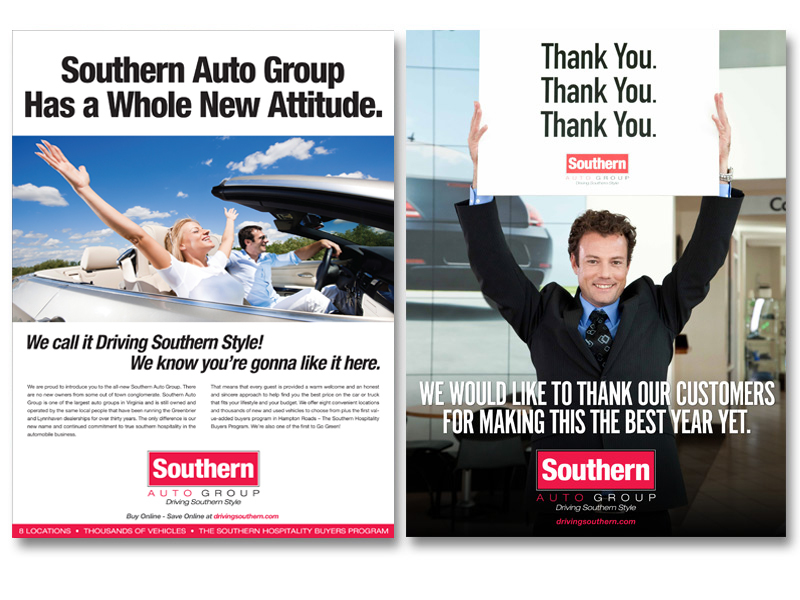 We saved them from their identity crisis by rebranding all dealerships under the Southern Auto Group brand and through a multi-media branding campaign that had everyone sing their praises all the way to their dealerships…driving southern style! Yes Virginia there’s a new auto group in town with a whole new attitude. Well, they’re not really new but we had to wake up the market with a series of fun, engaging ads anyway. 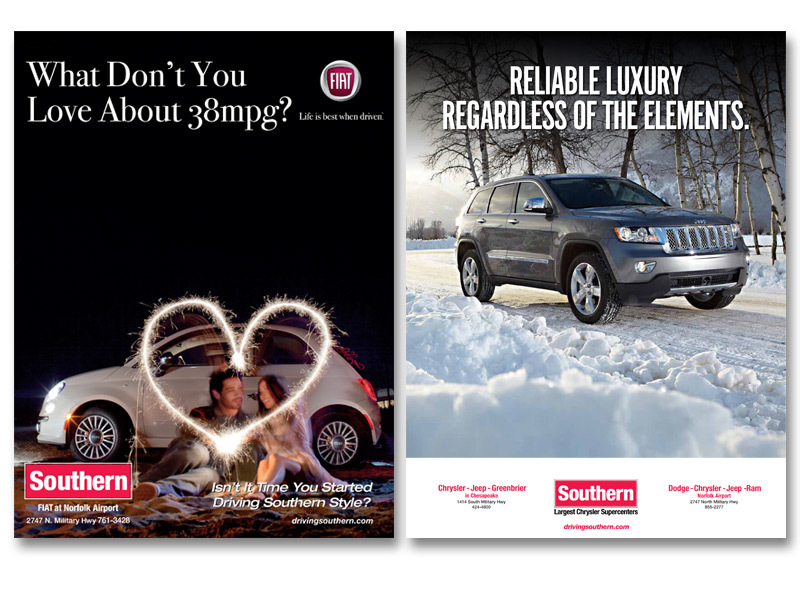 Southern Auto Group also had us develop retail-oriented promotional campaigns and help redefine their presence on the web, including a new website, a custom “Driving Southern” blog, social marketing program and online banner advertising campaign.